Must sell Custom 2006 GMC Sierra 2500HD. It has taken 7 years to build this truck into what it is today. Over 250k invested into it. 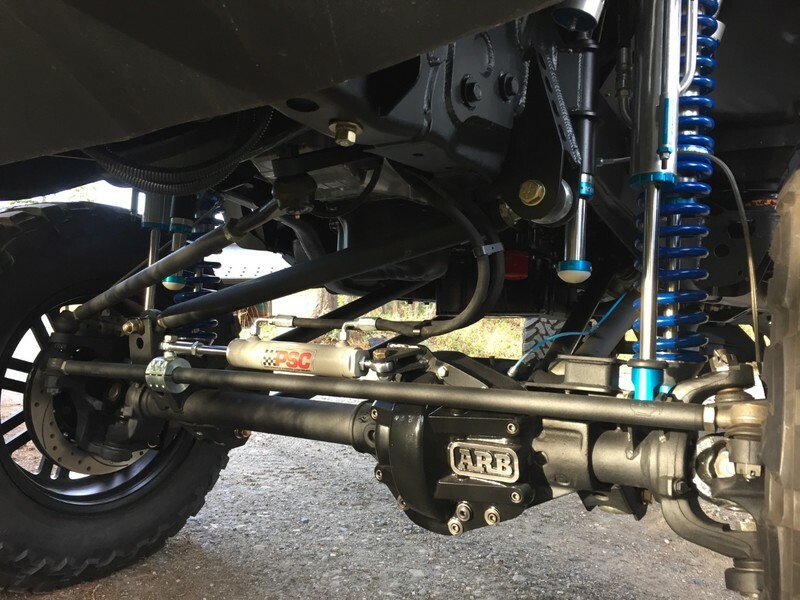 For the custom suspension lift; the frame was fully boxed, welded and machined pieces out of 3/8 steel were added around the shock towers for extra strength. The shock towers come through the bed of the box in the rear and the front come up into engine compartment for added length on the coilovers and triple bypass shocks. Which gives you more wheel travel and better ride. The front diff is a Dana 60 with ARB air locker with custom 4 link the diff was moved forward 2" to centre it in wheel wells. The rear is a corporate 14 bolt that has been widened to match the front as well as fully trussed and detroit locker. Both front and back have a 16" Wilwood big brake kit. The engine was fully built using SoCal Diesel parts. The engine installation and custom twin turbo kit was built by BD Diesel. The engine will push 1000+HP. The interior was completely re-done in black leather with a black suede headliner. The dash door panels, pillars and console were all wrapped in stitched leather. Seats are stitched leather with a diamond pattern. Costs of interior totalled 45k. Everything on the truck has been powder coated and every part is brand new. Fully built LBZ for 1000+ HP, 16" 2.5 King coilovers and king triple bypass shocks; king hydro bump stops, 40" Toyo Tires with 22" x 14" American Force Wheels, 16" Wilwood big brake kit, Lockers front & rear,Fully stitches black leather interior with black suede headliner, Fab Fours rear bumper, Road Armour front bumper, Warn Winch, AMP Research Steps, Rigid LED Lights in front bumper,Rigid 50" curved light bar, ARB duel air compressor , Custom fab gas tank in rear, Braided fuel lines, BD crate transmission, RBP Grill, Spider head lights, Recon Tail lights, Fass fuel pump 220 fpm, PPE dual fueler kit, PPE high flow racing manifolds , Mishimoto radiator, race turbo 86b/96 1.32, s300sxe 69/80 super core, socal billet valve cover, forged race piston kit, thermal coat top of pistons, carrillo duramax, main stud kit for socal main girdle, stage 2 cnc ported cylinder heads, billet main caps, custom design camshaft alternative firing order, water pump with big welded gear, chrome moly pushrods, billet flywheel, rocker stud kit, exergy injectors 100% over, refi live tuning, psc hydro assist steering, arb air locker front, detroit locker rear, and more. This truck is one of a kind. 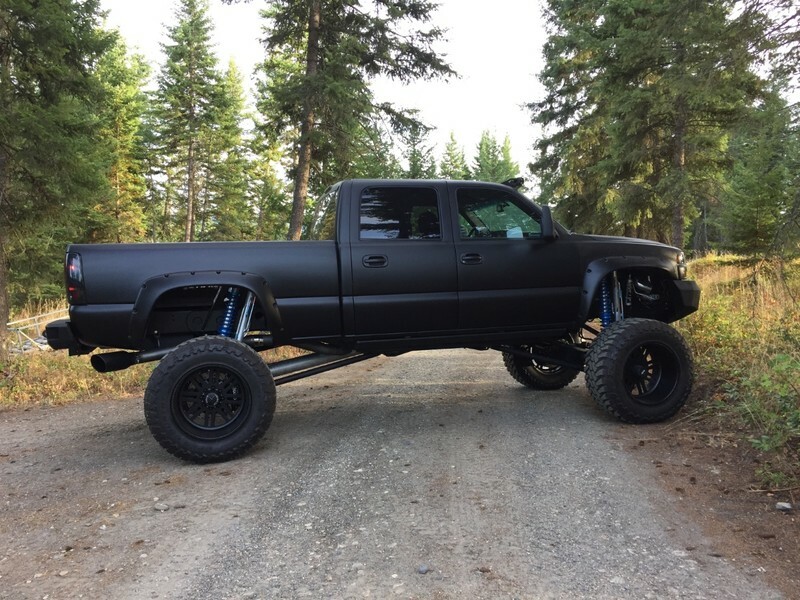 Every detail of this truck has bin meticulously thought out and executed to the highest standers. The underneath of this truck is meticulous. Have a fair market value appraisal done on the truck appraising it for $155k. I also have all receipts totaling over $250k.